UltraCharge Limited (ASX:UTR) has entered into a Memorandum of Understanding (MOU) with China’s leading fluorine chemical manufacturer, Sinochem Lantian Co. Ltd. Sinochem Lantian is a subsidiary of Sinochem Group, which is a Chinese state-owned Fortune Global 500 company. Having recently acquired a high performing, low cost electrolyte solution from Coorstek Speciality Chemicals, UTR’s electrolyte IP will facilitate the production of a superior electrolyte salt (LiFSI salt), which can increase battery lifespan and performance. Because Sinochem Lantian is one of just several companies that produce LiFSI salt, the MOU is a crucial step forward for the company — which aims to produce a commercial lithium-ion battery solution. Furthermore, the MOU provides an invaluable opportunity for UTR to capitalise on the burgeoning Chinese electric vehicle market. Due to its government’s policy on clean driving and greenhouse emissions, China has become the world’s leading electric vehicle consumer. UTR believes its lithium-ion battery solutions are well suited to satisfy the increasing demand and market requirements of Chinese electric vehicle manufacturers. “We are very pleased to be in partnership with Sinochem Lantian to develop our electrolyte IP,” UTR CEO, Kobi Ben-Shabat said. “We are now in a position to offer battery manufacturers a full or tailored solution to enhance performance of lithium ion batteries. For the end user or consumer, this means a longer lifespan, higher voltage, low cost battery solution which is safe,” he said. Anode for lithium-ion batteries: UTR has the exclusive rights to patented anode technology from Nanyang Technology in Singapore. 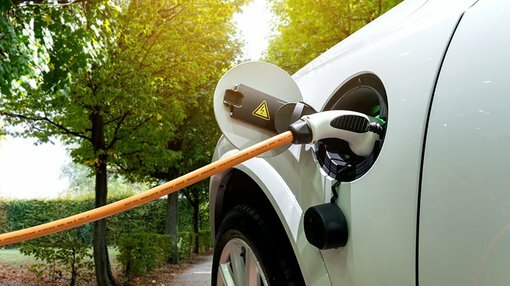 This tech could provide a safer and faster charging battery by replacing the graphite in battery anodes with nanotube fibres made from titanium oxide. Cathode for lithium-ion batteries: The company has agreed to acquire the IP from ETV Energy in Israel. This IP could enable UTR to produce cathodes at half the cost of current commercial offerings. Electrolyte in lithium-ion batteries: UTR has now acquired a low cost, high performing electrolyte solution from US based company, Coorstek Speciality Chemicals. This IP is based around producing a superior electrolyte salt (LiFSI), which could significantly increase battery lifespan and performance. Ion flow battery: UTR has an exclusive licence agreement with Israeli company Epsilor. The agreement will provide access to Epsilor’s new ion flow battery tech, which is the only commercially viable energy storage of its type to date. It also boasts lower installation and operation costs than current market alternatives.